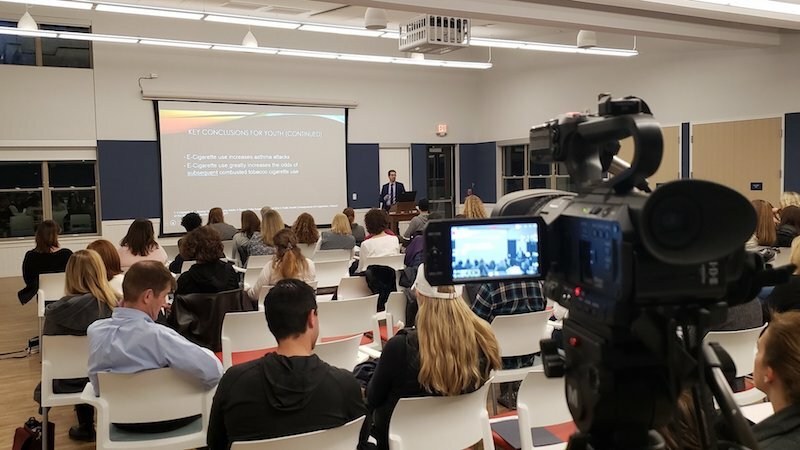 On Thursday, April 4th, 2019, the Substance Prevention Alliance of Needham (SPAN) held a forum to educate parents and residents in general about the dangers of vaping, particularly to kids in Needham. Dr. Jonathan P. Winickoff, Professor of Pediatrics at Harvard Medical School as well as a Practicing General Pediatrician at the MassGeneral Hospital for Children, delivered the presentation, then took questions from the audience. PREVIOUS POST Previous post: Select Board Meeting – April 10 Online!